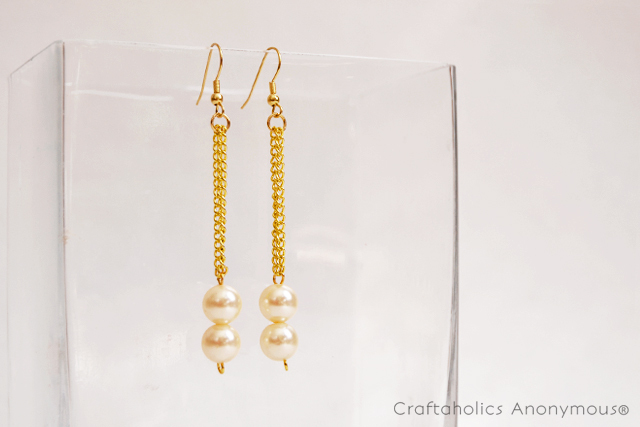 Sometimes all it takes is some pearls, wire and some twisting here and there to make pretty, simple earrings. 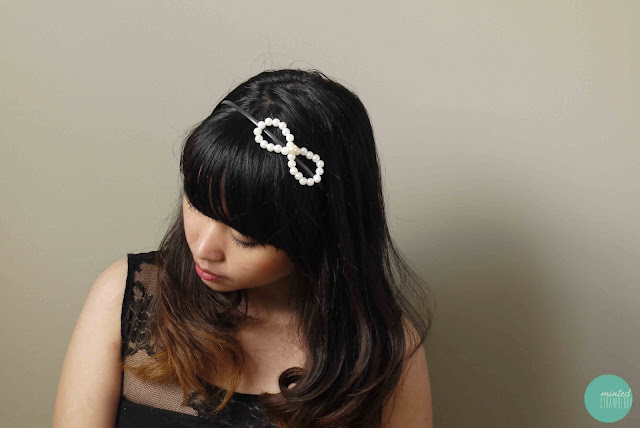 I am not really one for pearls but I like to wear them every now and then, specially when it doesn't look outdated. 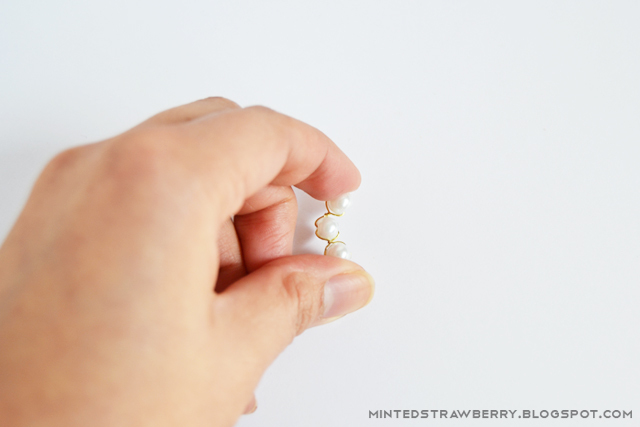 There are a variety of pearls in all shapes, sizes and make that this tutorial is very customizable with what your preference is - and if you don't like pearls, you can sub them with your favorite stone or bead! 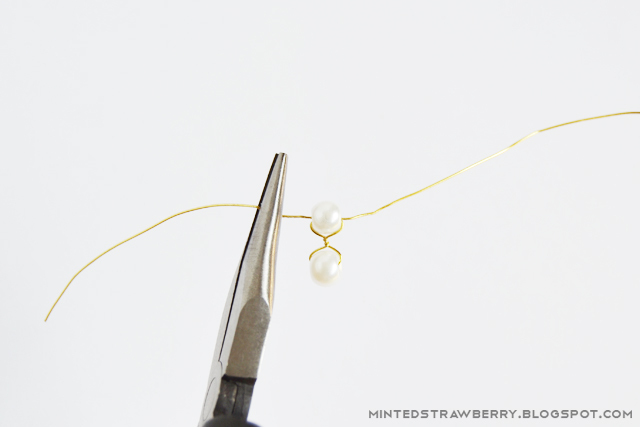 Cut off a length of wire and thread your first pearl bead on, folding the wire on either side of the bead. 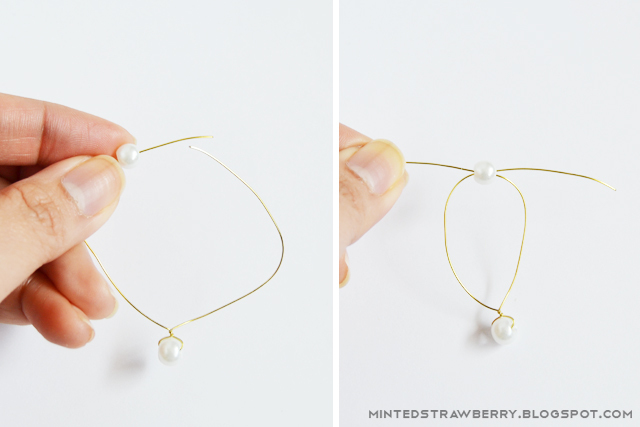 Twist the wires together using your flat-nose pliers. 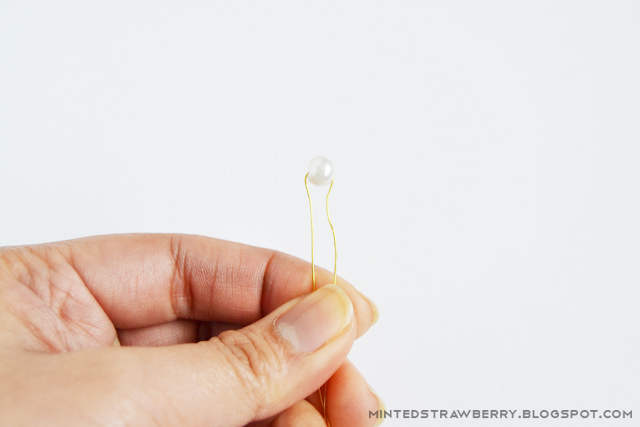 Now thread your second bead by inserting it into one of the wires, and then inserting the other wire on the bead but in the opposite direction like in the photo above. 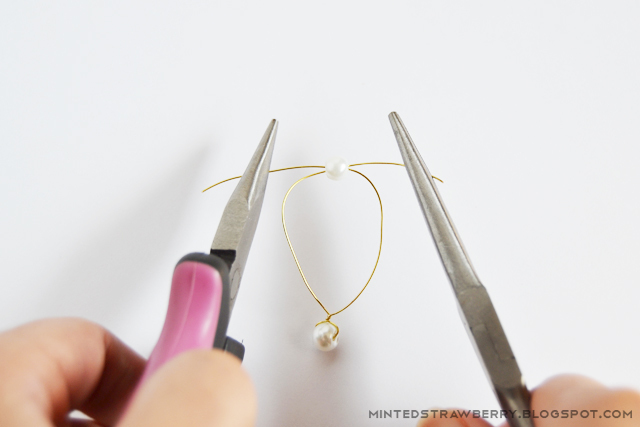 Using two pliers, pull the wires until tight, like in the photo below. Afterwards, twist the two wires like you did after the first bead. Continue adding your beads until you are satisfied with the length - I wanted short drops so I only added three beads on mine. 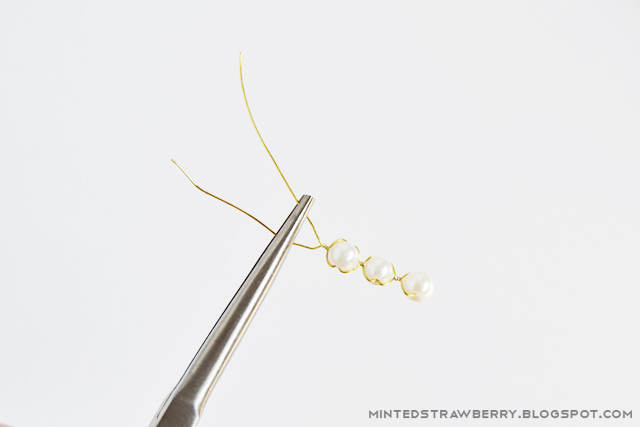 When you are done adding your beads, twist the wires like you have done, about two or three times, then cut off the excess wire with a wire cutter. 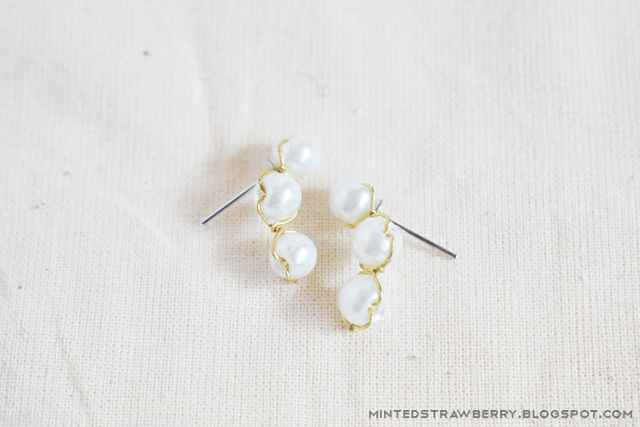 Fold the twist on the back of your earring - it's easier to do this with some flat-nose pliers. Shape your earring according to your preference - I wanted mine curved. You can also leave them straight, but I feel it more modern when curved. 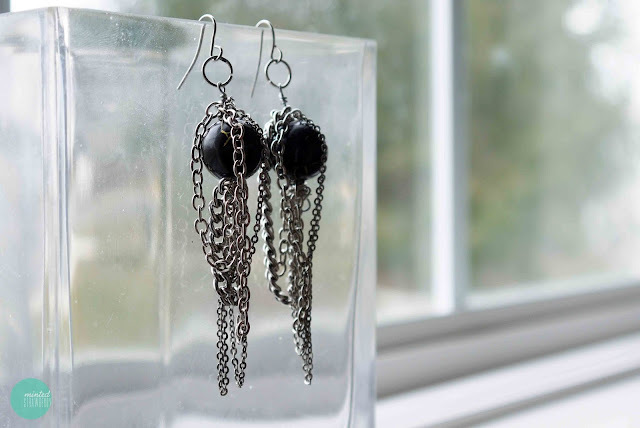 Finally, attach your earring post to your first bead, taking note of the back of your earring (where you bent the excess wire). And you are done! 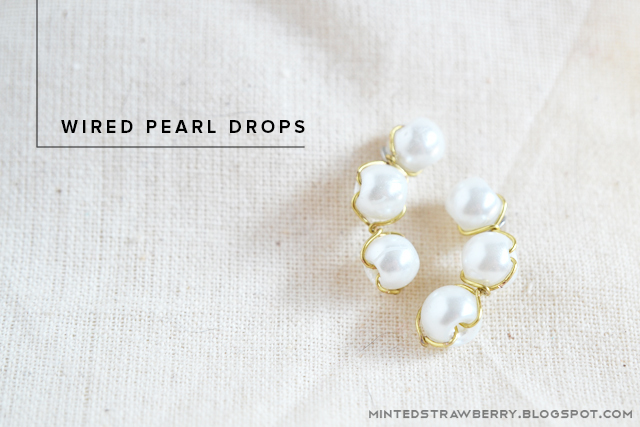 I love how dainty these things are, and how perfect they are for everyday use or even nights out. Pardon my face! Haha. 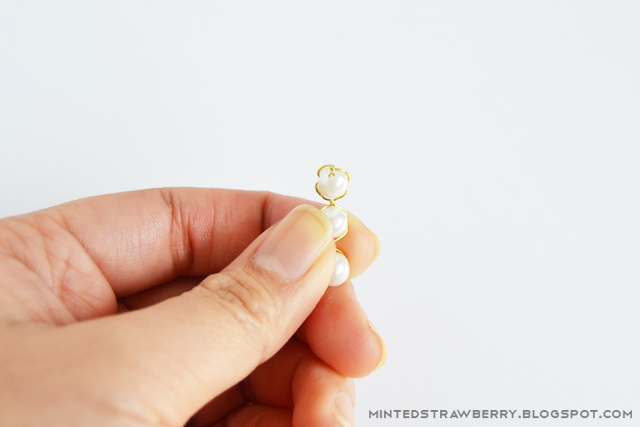 You can use the any size of pearl, or even make them in increasing or decreasing size - that would actually look so great! Add more embellishments or leave them as it is. 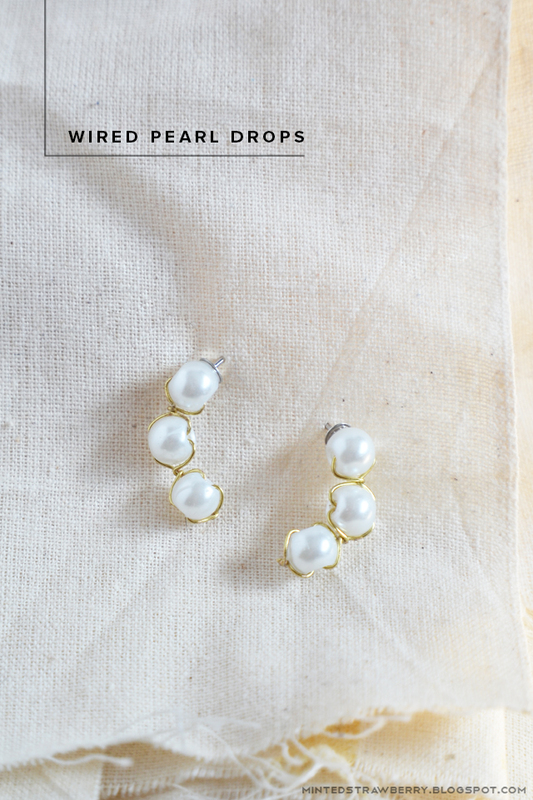 Do you love pearls? Let me know in the comments! I always love hearing from you guys. Happy crafting! 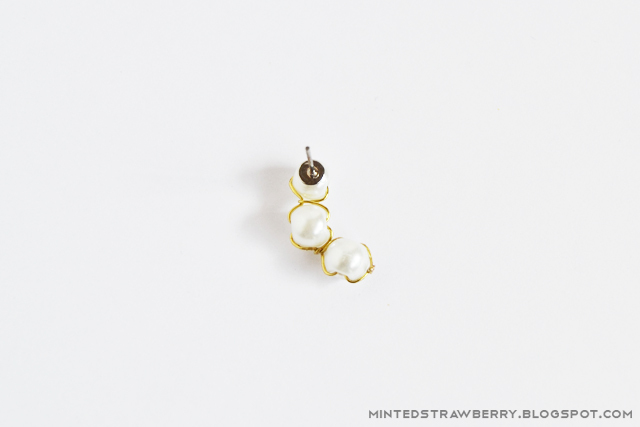 Hello, The earrings are georgeous!! 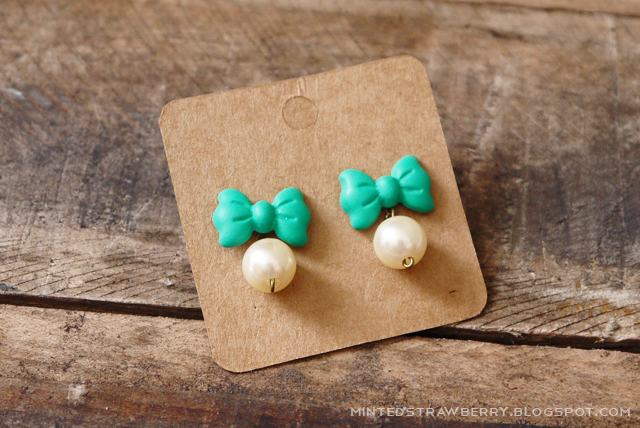 !I can not wait to make them.!!!!! Thank you so much for sharing your designs with me!!!! What size wire it looks 0.5mm/24 gauge? yes, thin wire around 24 gauge. I can't really remember the size I used for this! Another gem, Aki! 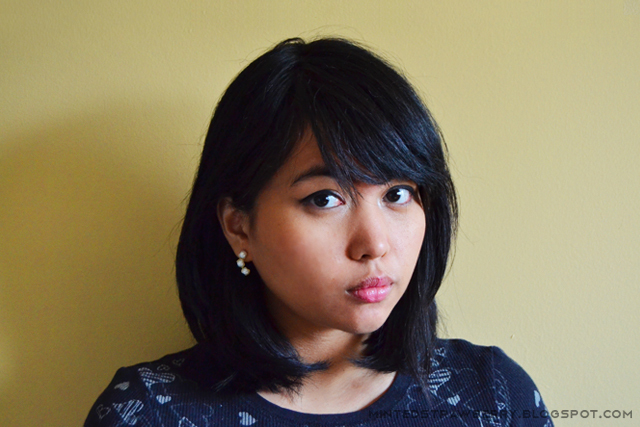 Will share on my blog in the near future!